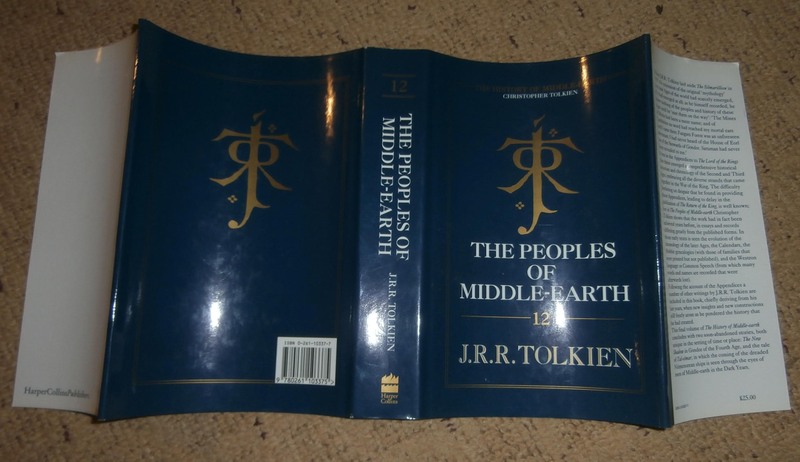 I am in the process of trying to acquire an entire set of the History of Middle Earth. I have looked through hundreds of listings and a dozen sellers to acquire a set with perfect dustjackets, but to no avail. 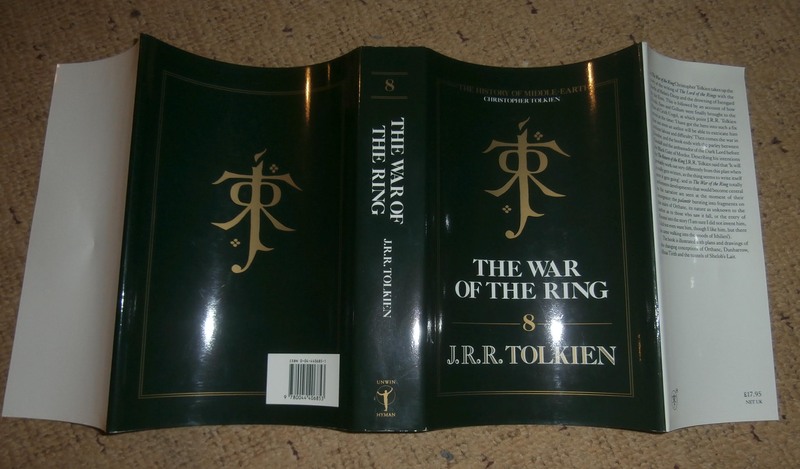 However, I have examined images of the dustjackets and through my novice eyes, I noted that technically there isn't a difference between 1st edition jackets in different states/impression. Does this mean i can just focus on acquiring the books in perfect condition, and acquire dustjackets separately from other editions to make my set "perfect?" Or am I missing something here? Is there a difference in dustjackets between different states/impressions? I just wanted to reiterate that I am looking for an entire set of 1st Edition, 1st State (Impression) set. I do not see any difference in dustjackets that were issued for 1st Edition 1st State and 1st Edition 2nd State and as such, I figured I can "swap" them to complete the set. Personally I am very uncomfortable with passing off later jackets (e.g. from a second impression) as being earlier ones (but then I have fine copies of all of them in fine/as new jackets, so I don't need to engage in any shenanigans.) I guess putting a priced jacket on a same-impression book that was originally in an unpriced jacket is fairly harmless. Edit: State and Impression are not the same thing in my description above. Each first impression of HoME has two or more states. Once again, thank you very much for the sage advice! I did not even know that such discrepencies even existed between books in same edition, but varying impressions. When you state that you already own a set of fine books that come with fine dustjackets, may I ask how picky you are in defining the term "fine" for these set? I have corresonded dozens of sellers who state that their dustjacets are fine, but they all have rubbings visible. I even had one seller responding me back with uncouth remarks, letting me know that I am being overly and unreasonably picky with the condition (he also said his dustjackets are fine!). May I ask where you drew your line? Are your dustjackets completely void of single scratch? Are your dustjackets completely void of even a single slight rubbings? 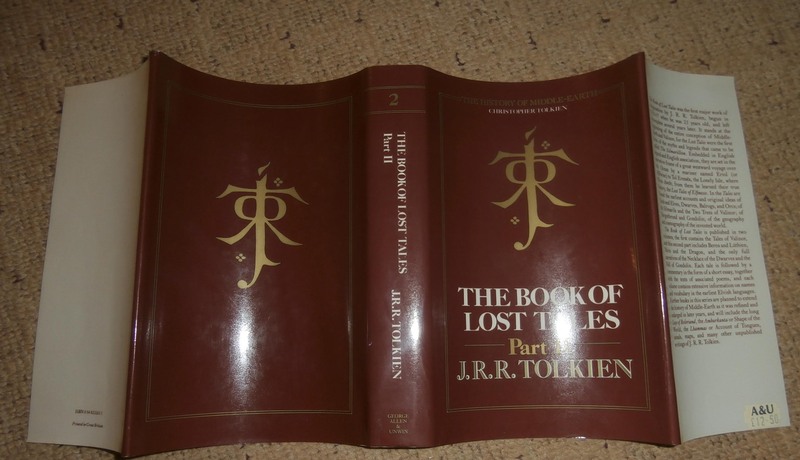 I am currently in the talks of acquiring this set as shown below and I have posted the sample of the dustjackets. Do you believe these qualify as "fine?" My "A" set of first impressions are pretty much as new. I've had them since they came out, so they were all orders from the local physical book store straight home. Then I read the paperbacks when they came out. The only exception is PoME, which I had to purchase later, and would still be classified as fine, but you wouldn't say it is quite "as new", I don't think. They are all packed away since my last house move -- I have a "B" set on display, which are not quite as good (but still would be classified as fine by most book dealers, I think). You will probably not be able to avoid a little bit of fine rubbing on some of these, as that is how they came new (Shaping in particular). The jackets in your images would probably count as fine (but not "as new") for these titles, I think. You should expect significant browning to the page edges of PoME and WotJ. This is due to the acidity in the paper (which is very poor quality), and they are all like that. Stu, your insight is as always, greatly appreciated. Thanks! Not a problem. One thing I would say is probably don't get too hung up on the definitions of fine, near fine, etc. IOBA does have specific definitions, but sellers and collectors all have different ideas of what constitutes what, so they are a bit meaningless. I got a "Very Good" 60s Hobbit that looked brand new from a dealer, and I've been sold things as "fine" that were only Very Good (more often the way it works). The best bet is just to get photos (as you have done) and just decide if you are happy. Definitely get advice on here as to what might be "as good as you might realistically expect", though, as some books were just flawed out of the door (e.g. The Inklings, which fades into oblivion at the slightest hint of light, so finding a perfect copy may be impossible).